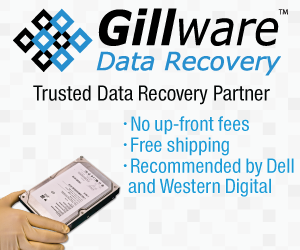 We are proud to be a Gillware Data Recovery Affiliate Partner. Your data recovery experts P3C Technologies knows data loss can be a very difficult experience. That’s why we want to make it as easy as possible for you to get your important files back by working with Gillware Data Recovery as a partner. They offer a local facility that works with us in Madison, WI with an awesome data recovery process: “No data, no charge” policy – you get to view a list of recoverable files before paying Free evaluation and inbound shipping We are SOC 2 Type II security audited World class team of computer scientists, mechanical and electrical engineers With industry leading success rates, prices 40-50% lower than the competition and cutting edge engineering techniques, we find that Gillware is a trusted data recovery partner and have no hesitation recommending our clients use this service. With industry leading success rates, prices 40-50% lower than the competition and cutting edge engineering techniques, we find that Gillware is a trusted data recovery partner and have no hesitation recommending our clients use this service. The following different devices and files, can be sent in for data recovery.